This one's for Allison. She's a reader who e-mailed me and asked if I'd be willing to share my template for the Halloween thumbprint tags we made for Ella's preschool last year. Remember these? I still love them. Here's the original post. 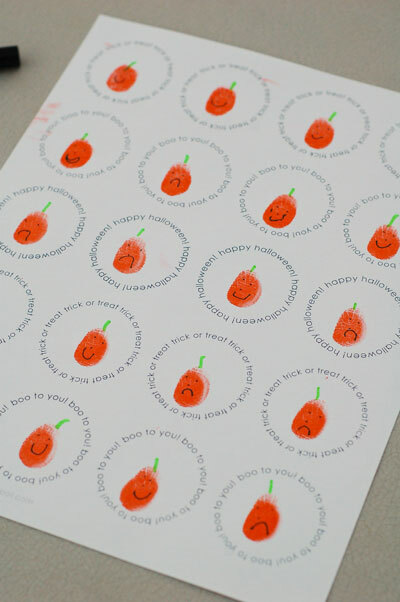 Originally I had Ella stamp her thumbprint multiple times on white cardstock. 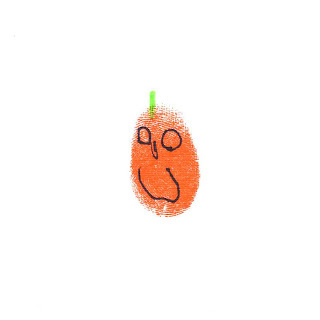 Then she made them into jack-o-lanterns by adding stems and silly faces. (It kept her very busy.) I chose my favorite one, scanned it, added words around it in Photoshop Elements, and duplicated it. You can still use this process in an editing program, or to make things simpler, I created a blank template for you to create your own tags. 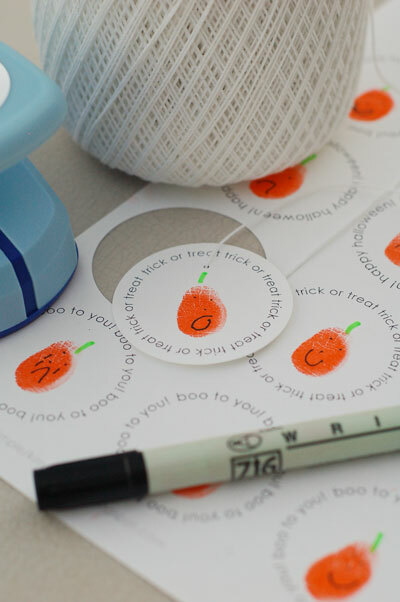 Your little goblins can stamp their thumbprints in each circle and create jack-o-lanterns. Each tag will be an original work of art. I chose a variety of generic wording to choose from. 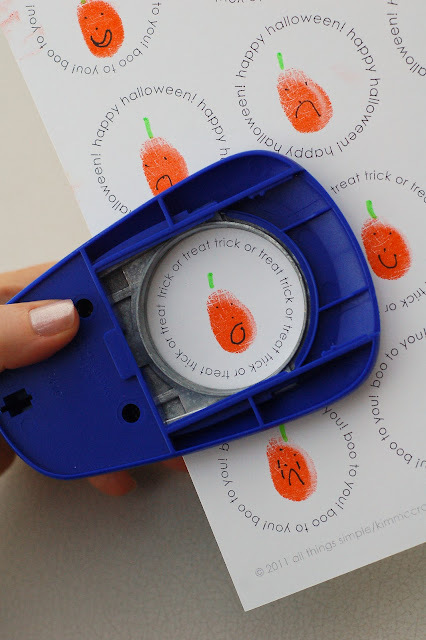 Help your little one stamp their thumbprint with a cheery orange ink pad in the lower part of the circle (this will leave room for the hole and string for hanging). Then they can add stems and faces. It's getting close to bedtime, per the sad faces. Use a 2" hole punch upside down to center the circles and punch. I used a micro circle punch for the hole and crochet thread for hanging. I love crochet thread for so many things. 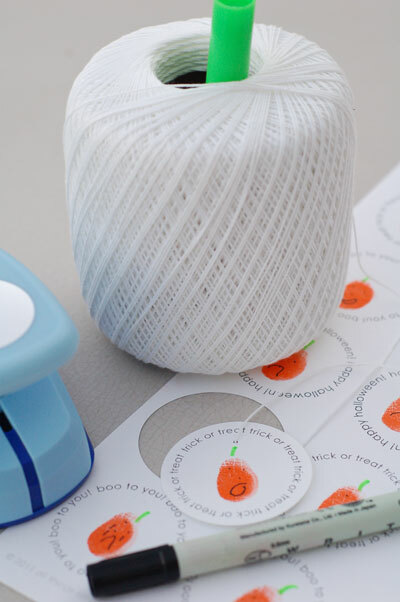 It's a nice lightweight string, very inexpensive and one skein lasts forever. 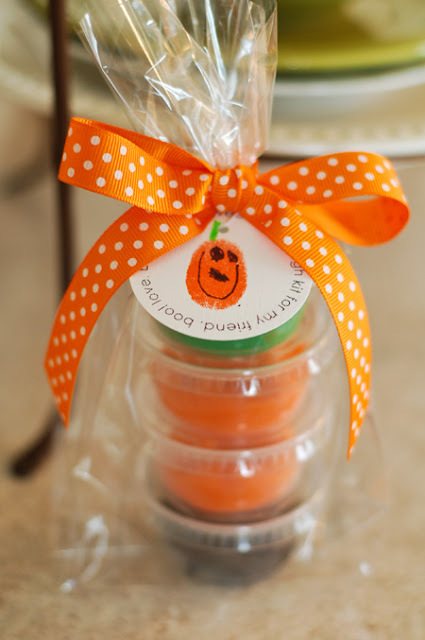 Now help your little Picaso tie their tags to a special bag of treats. Looooove these! 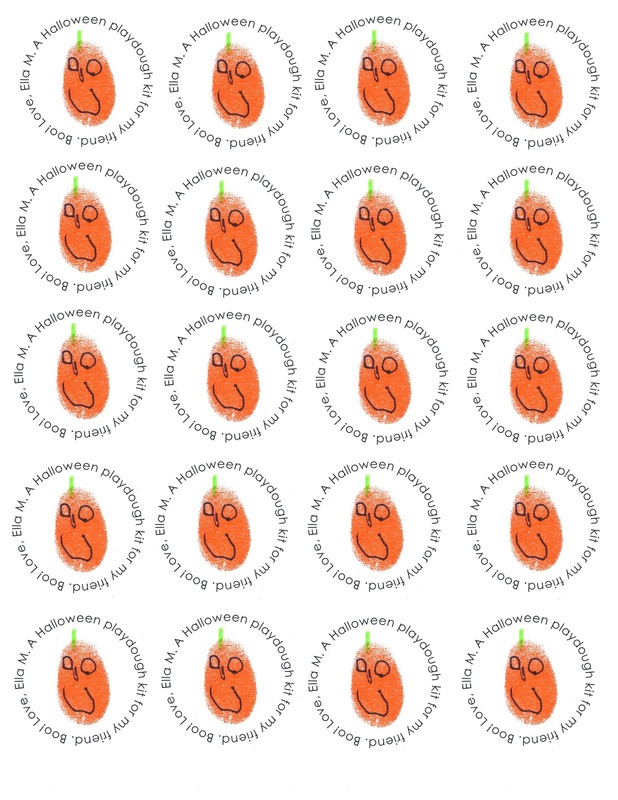 thanks for sharing the templates! you rock! Do you remember where you got the little containers to put the play dough in? I cant seem to find them unless I want to buy 2500 :) Thanks!! I had the same question as Andrea. Where did you get the little containters. They're called portion containers or souffle cups. I used the 2 oz. size. Make sure you purchase/order the lids also--they usually come separate. I have a lot of extras, but I use them in E's lunch box or for a handful of almonds in my purse, etc.